Carpets can be one of the trickier parts of water damage restoration. Unlike some of your other possessions, a dried carpet is not necessarily one that can still be salvaged. A wet carpet that does not get dried properly becomes a breeding ground for mold and mildew. Even if that particular kind of mold is not toxic, this can still cause numerous problems for you as you try to put your home back together. Mold releases spores that reproduce. These spores, when inhaled, often agitate the mucous membrane that lines the interior of your nose. In most cases, this results in swelling that can cause congestion, runny nose, sneezing, and watery eyes. In severe cases, you may even find yourself struggling to breathe during allergy attacks. The allergic reactions you experience from mold are meant to keep the spores out of your body. This is because spores can lead to permanent damage of the airway and lungs. Once weakened in this manner, you become vulnerable to conditions like asthma, tuberculosis, and cystic fibrosis; All of these have been linked to moldy or wet carpets in the past. Mold spores do not necessarily need to be inhaled to cause problems. If these particles make contact with your skin, reactions can still occur. Itchy, red blotches can appear where spores have aggravated your body and may require prompt treatment. Without resolving the condition quickly, your ailment can advance to bumps, swelling, and infections. Since the carpet will be responsible for repeated exposure, ointments, and other medications will be of limited effectiveness. Although these are all very real dangers that can come from a wet carpet, there is still hope for salvaging the carpet. Provided that it was clean water that was responsible—not sewage backup or the like—quick action by professionals can often save your carpet and the underpads. If the carpet is not thoroughly dried, water damage can occur to other building materials. Water from a wet carpet can affect adjoining baseboards and actually start to wick up the wall and affect the drywall. If these affected building materials are not either properly dried out or removed (if required), mold will start to grow within 72 hours. Water damage professionals can handle any mold removal if mold is discovered on the sub-floor, baseboards or even drywall. If the water affecting the carpet was not contaminated, it may still be possible to save the carpet itself by extracting the water from the carpet and stripping out the under pads. Truck-mounted and portable drying units can quickly draw out up to 85% of a carpet’s retained moisture, setting the stage for more thorough drying and dehumidifier units. With prompt action by a team skilled in commercial carpet drying, you can find yourself saving hundreds or thousands of dollars on what would have been a costly replacement. Flood Services Canada is a leader in emergency flood and water damage remediation along with mold removal, sewage backup, and fire and smoke damage cleanup. Our rapid response teams can quickly get to work to both prevent and mitigate flood and leak damage and aid in the restoration process. Walls, floorboards, furniture, and carpets can all be saved by our skilled team members and the latest in wet carpet drying and water extraction technology. We also provide services that can inspect property for moisture damage and risks of water infiltration. 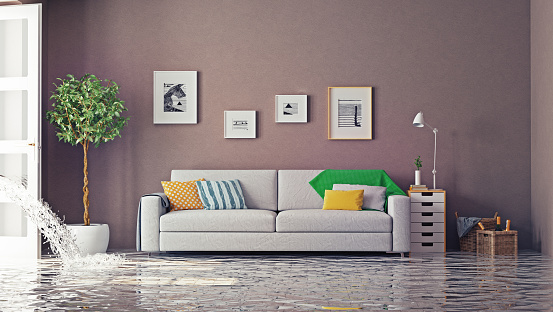 More information on our water damage restoration and prevention techniques can be found here.